Product prices and availability are accurate as of 2019-04-08 23:07:55 EDT and are subject to change. Any price and availability information displayed on http://www.amazon.com/ at the time of purchase will apply to the purchase of this product. 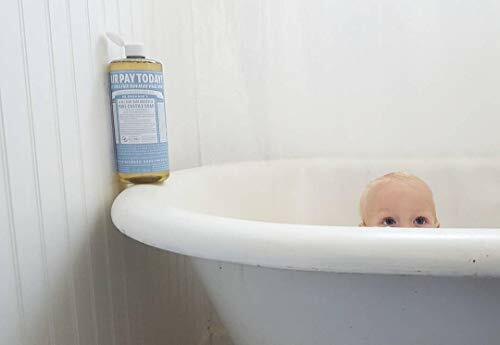 BABY UNSCENTED: Unscented Baby-Mild Castile Liquid Soap contains no fragrance and replaces it with double the olive oil, so it is great for people with allergies or sensitive skin. Of course, it is great for babies as well! SMOOTH AND MOISTURIZING: The organic and vegan ingredients are combined with a pure-Castile liquid soap base for a rich, emollient lather and a moisturizing after feel. NATURAL: Smooth and luxurious soap with no synthetic detergents or preservatives, as none of the ingredients or organisms are genetically modified CERTIFIED ORGANIC AND VEGAN: Certified organic by the USDA National Organic Program and certified Vegan by Vegan Action. 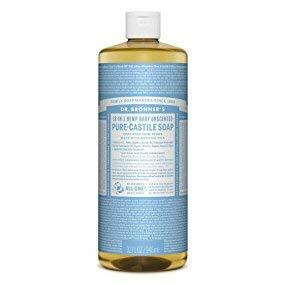 RECYCLED PACKAGING: Packaged in 100% post consumer recycled (PCR) plastic bottles.